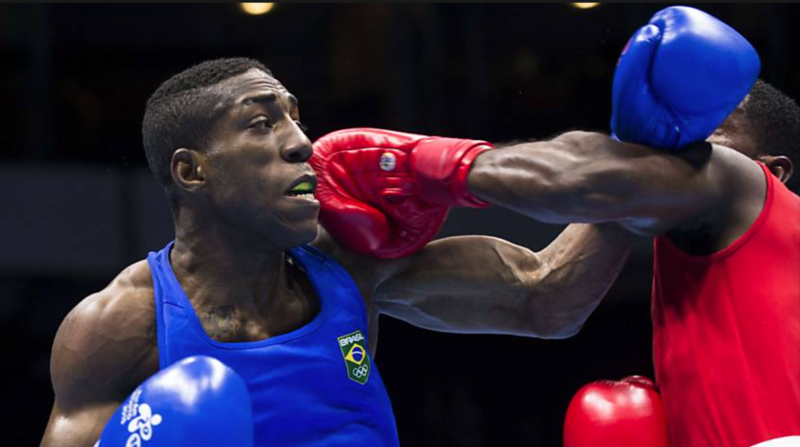 Brazil’s boxing fans were given a mouthwatering preview of next year’s Olympic boxing competition as the finals of the Rio 2016 Test Event played out on Sunday afternoon in Barra da Tijuca. And it was the home boxers who stole the limelight, with three of the six Brazilian finalists winning gold. “The Test Event demonstrated the high level of preparation of the Organising Committee and i’m very confident that boxing will be one of the most exciting sports to follow in August 2016 for the enjoyment of fans from all over the world and the large, passionate Brazilian public”, said AIBA President Dr Ching-Kuo Wu after the tournament. The Olympic venue was put through its paces with ten men’s and three women’s finals, and fittingly it was Brazil’s Robson Conceição who first lit up the crowd with an inspired victory over Uzbekistan’s APB champion Hurshid Tojibaev to take the men’s lightweight gold in the day’s first bout. His team-mate Joedison Teixeira also managed to produce a winning performance as he swept aside Britain’s Samuel Maxwell. The Brazilian duo will be hoping that their strong form will take them all the way to next year’s Olympics, where gold would make them household names. “We are delighted to have been able to deliver the Aquece Rio Boxing Test Event on time, which demonstrates the capacity and readiness of Rio 2016 for the upcoming Olympic Games this summer”, said Breno Pontes, Boxing Competition Manager for Rio 2016 Olympic Games, as the event drew to a close. 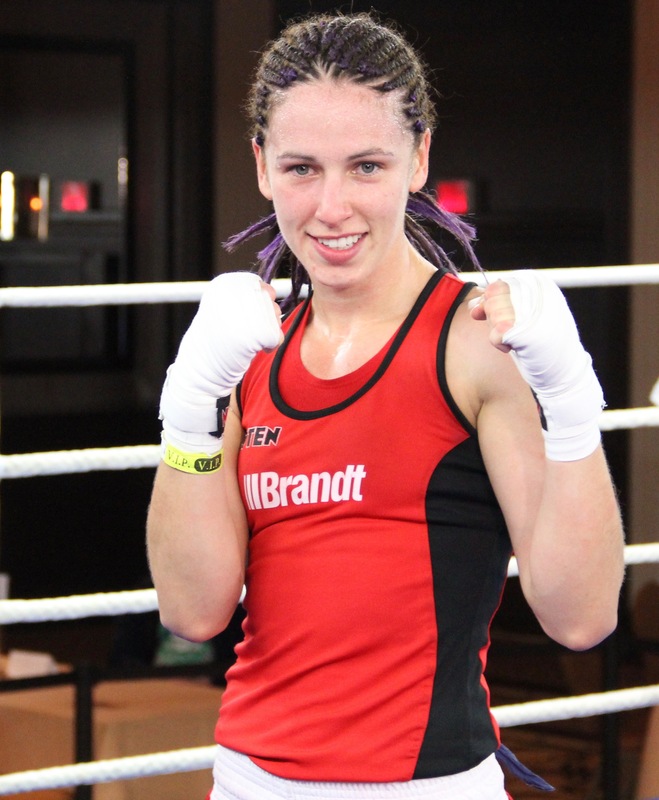 British boxers featured in five finals, two of them in the women’s competition. Chantelle Cameron succeeded where compatriot Lisa Whiteside could not, bringing home lightweight gold against French star Estelle Mossely. Japan’s Ryomei Tanaka and Uzbek hero Hasanboy Dusmatov both defeated Brazilian opponents to claim flyweight and light flyweight gold respectively, but any disappointment soon evaporated as Chatchai Butdee and Murodjon Akhmadaliev conspired to deliver the bout of the day. Uzbekistan’s Akhmadaliev emerged the deserving victor, taking a hard-earned bantamweight gold. That contest was nearly matched by the last final of the day as Britain’s Frazer Clarke took the super heavyweight gold against Germany’s Erik Pfeifer, sealing a superb day’s boxing in fine style. “I would like to thank the Rio 2016 Organising Committee for delivering an excellent Aquece Rio Test Event. Our athletes, officials and National Federations worked very closely with Rio 2016 Organising Committee and we had a chance to test the key components of how our boxing competition is going to run”, said AIBA Sports Director Kristin Brynildsen.